Next stop, one of the most popular seaside destinations in France. 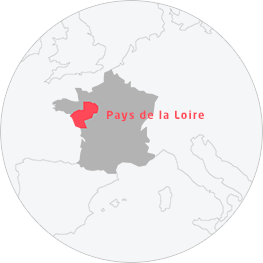 With its varied coastline stretching for over 450 km and alternating from wild to rocky to sandy, its renowned resorts such as La Baule and Les Sables-d’Olonne, and the two islands of Noirmoutier and Yeu, the Pays de la Loire coast has more than its fair share of attractive features. Whether lovers of sports, fine food or surprises, holidaymakers won't fail to be charmed by its many different faces.